On November 4th, our lives were changed forever. Our daughter Lydia was diagnosed with septesemia and meningitis cause by strep pneumo. She spent many days in ICU. Due to complications from bacterial meningitis, she developed hydrocephalus and has had to go under numerous neuro surgeries. We hope to eventually be on the road to recovery and transfer to an inpatient rehabilitation facility. 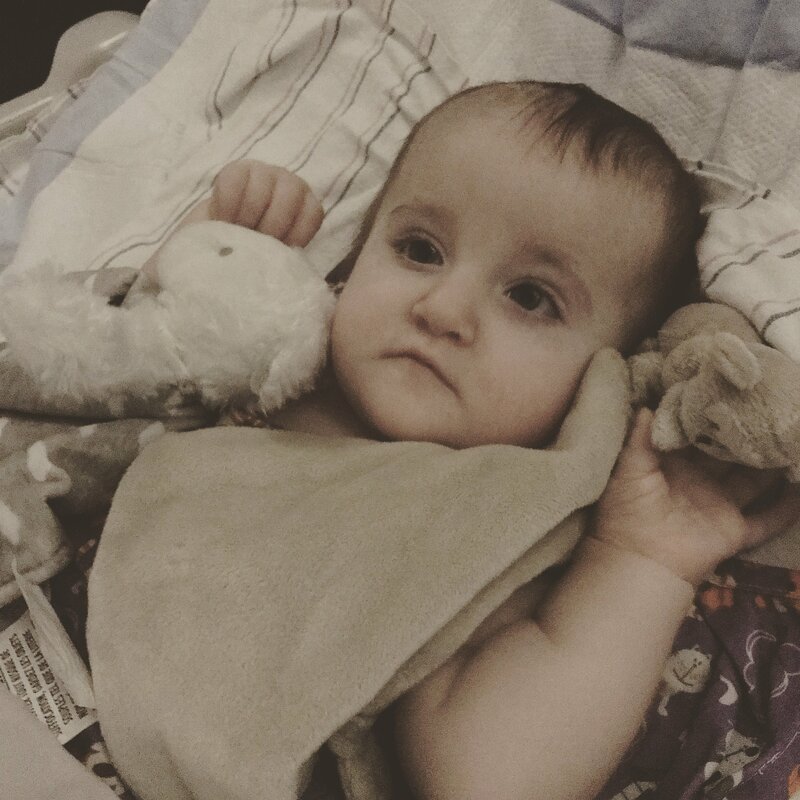 Prior to her illness, Lydia was a super active 10 month old who loved to play with her toys and was consistently crawling and standing. She was the happiest girl around. 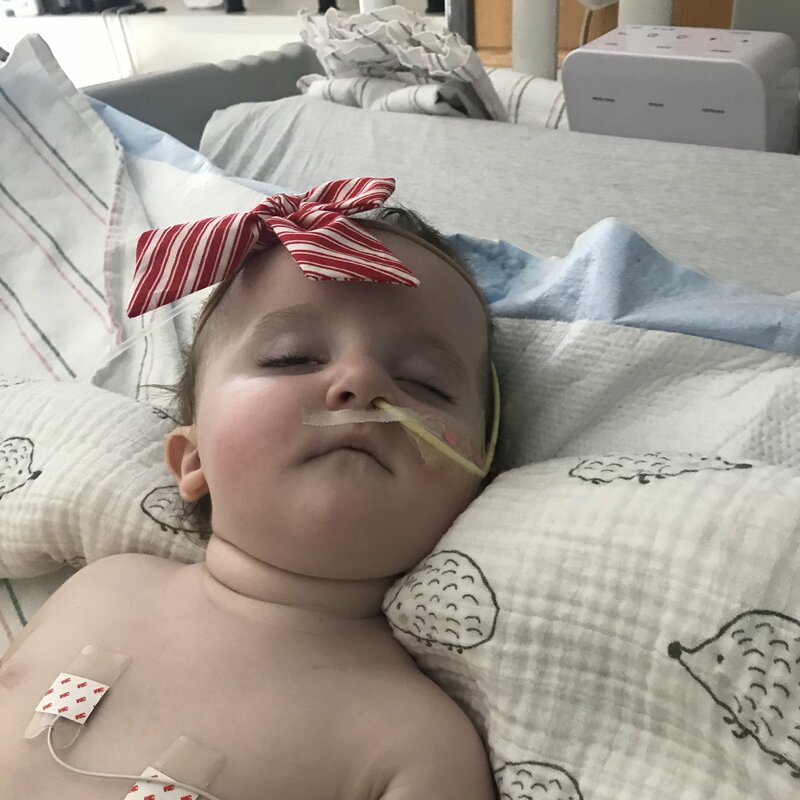 We would love to give Lydia the best chance she can have to live her best life, but this will take intensive inpatient and outpatient therapy. Lydia’s care is likely going to be very expensive even after insurance. She will continue to see many providers even after hospital discharge. We appreciate any help you can offer to contribute to her ongoing medical care. Family and friends of Lydia Twamley are raising money for the nonprofit Help Hope Live to fund uninsured medical expenses associated with Catastrophic Illness. Lydia has chosen to fundraise for Help Hope Live in part because Help Hope Live assures fiscal accountability of funds raised and tax deductibility to the full extent allowed by law for contributors. Contributors can be sure donations will be used to pay or reimburse medical and related expenses. To make a tax-deductible donation to this fundraising campaign, click on the Give button. HI! My name is Joanne Krieger, and I am a coworker (but more so a friend) of Diana Doody. I have heard of your little girl's journey and I pray for her daily. I know that we do not know eachother, but if you need anything at all, please do not hesitate to ask. (Diana knows how to find me). I am praying for strength, courage and God's love to shine upon you all during this time and always. May God bless your family. We pray for Lydia and her family without ceasing. We have a vision of her walking and talking like any normal toddler. We are grateful to have the opportunity to help with her expenses..
Praying for Mom, Dad, and little Lydia!!! We are praying for Lydia! Praying for Lydia and a quick and speedy recovery and also praying for strength for you and your family Marcella. Thoughts and prayers are with you and your family Marcella. Marcella, my heart goes out to you and your family as you navigate this unexpected and difficult terrain. Take good care of yourselves and know that we in Transplant are there to help however we can. Don't be shy!